The Asset-Light Generation – A Sign of Humanity Evolution? We are moving from an era where it was important to possess everything to an era where it is considered cumbersome. From racks of CDs and DVDs to music (Spotify) and movies (Netflix) in the cloud, accessible by subscription from a small handheld device. From bookcases full of books to reading on demand from an iPad. From stores full of products to eCommerce sites full of data. From workplaces with cubes and desks to telecommuting and Workforce as a Service (WaaS). From owning cars to sharing cars (Uber). From a physical wallet full of cash and credit cards, to digital wallet transactions with just enough bitcoin in the account to satisfy “just in time” needs. This new era is called the Shared Economy or Collaborative Economy and the individuals who thrive in it are becoming known as the Asset-Light Generation (fka Millennials, or Gen Y). It strikes me that in many philosophies and spiritual teachings, the suppression of material desires is a crucial step on the road to evolving the spirit. 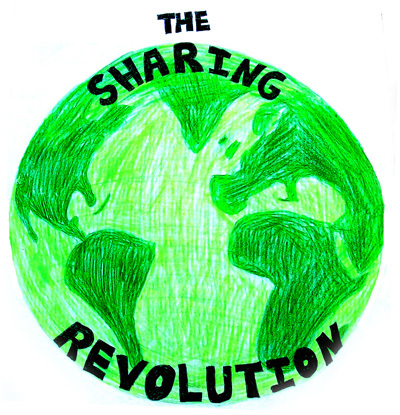 So I wonder – if each generation of humanity is becoming less interested in ownership and increasingly more comfortable with the idea of sharing resources, is that another indication that humanity is evolving spiritually? Or is it just cool tech?